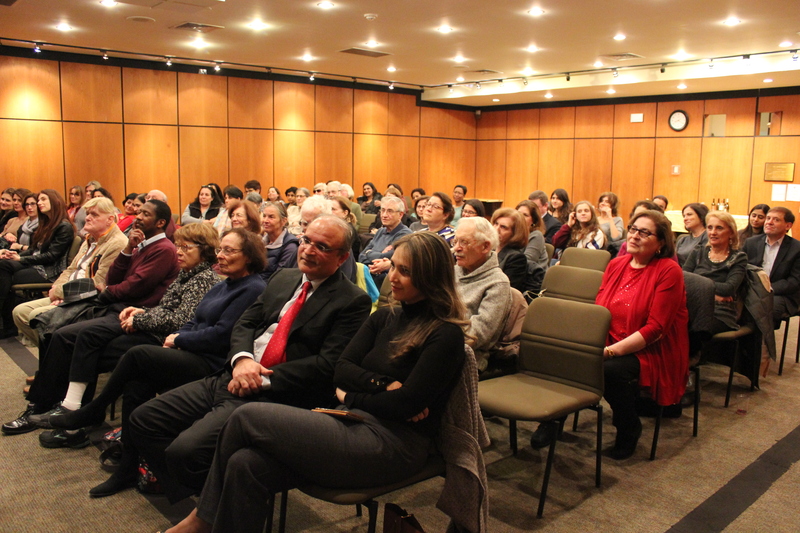 This February we held our second Scarsdale Salon and were delighted by the big turnout that thursday evening;more than 80 people had attended the first Salon, and we weren’t sure how many would come this time. But there some familiar faces from the first Salon, and many more new ones. It is always a pleasure to note that so many share our love for books. The theme for this Salon was’Family’ and the books we selected dealt with family as the primary unit we all know, of community as family and of countries that become our families. Barbara Solomon Josselsohn’s The Last Dreamer resonated with women in the audience – of women becoming mothers, putting their work lives on hold while managing families, and then trying to find a foothold back in the professional world – at the bottom of the pecking order. 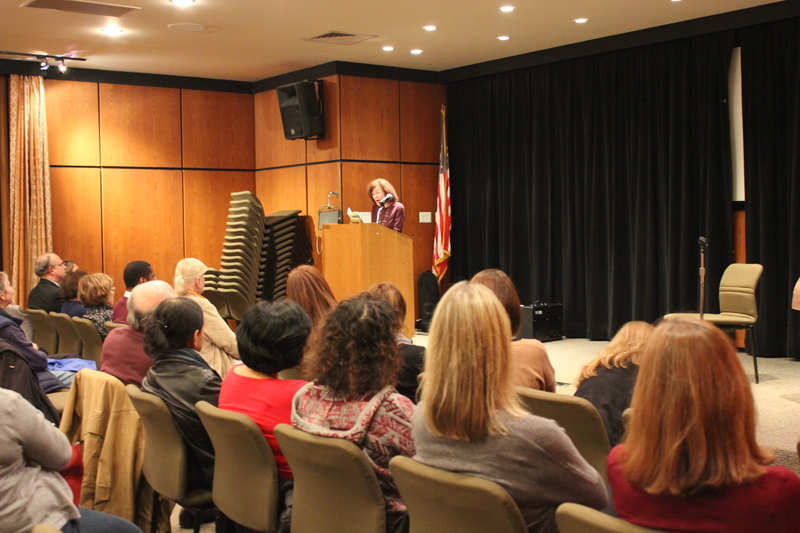 Deborah Skolnik’s 100 Days of Gentle Scarsdale Satire was received with much amusement by the audience. After all, everyone has felt envious of the friend who has a summer house in the Hamptons where you are never invited, and has gawked at the fancy car that is driven by a preening balding man! Ruth Handel’s incredible poems about her family from No Border is Perennial gave many the goosebumps…family secrets long buried that beg to be revealed is familiar to all families. This was also a first for us…to have an author who wrote under a pseudonym because his book could invite the wrath of the Islamic fundamentalists. 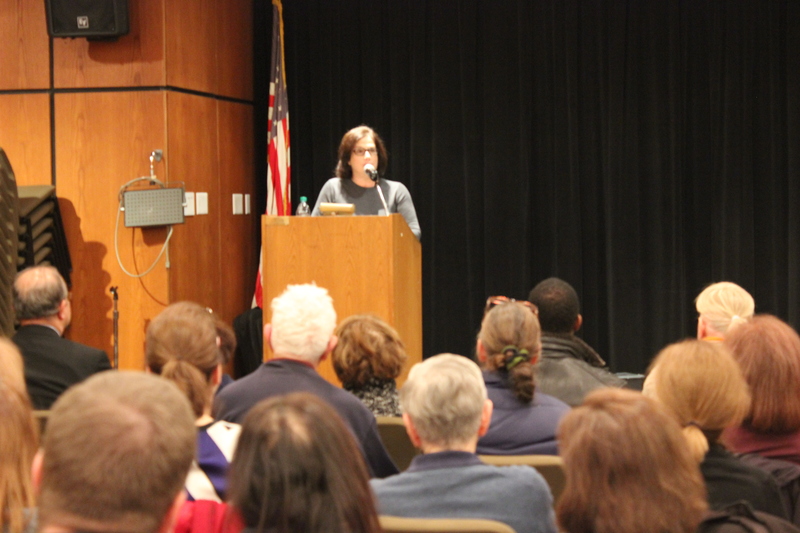 No photographs were taken of the author, and the discussion on his book Over The Tightrope was a very interesting one – some in the audience wanted an opinion on what the author thought of Obama’s visit to the mosque, or to the rising intolerance towards Muslims in the US. That is what good books do…they seek to open our minds, and engage in discussions that help us see other perspectives. With the loss of brick and mortar bookstores all over the world, the readers’ engagement with the author has been severely limited. If it is not a top billing author like Salman Rushdie or Chimamanda Adichie, book promotions by publishers will be almost non-existent. And if the author is self published then reaching out to an audience is even more difficult. Perhaps this explains why literary salons are finding favor with readers and authors alike. The free events are usually carefully curated for content to make them interesting for listeners. The curators don’t aspire for bestselling authors by design; rather Salons become places to find little gems. When I moved to Scarsdale almost three years ago, and attended one of these salons in Manhattan, I was blown. In a tiny bar in Greenwich, where you had to buy your own wine, it was such an experience to listen to authors read from their work, and chat with them later on characters, plot and inspiration. Music by a local group added to the ‘literary exclusiveness’ and a nice glass of wine completed the lovely evening. Much as I wanted to go back to another one, I couldn’t. There was always something that stopped me – a snow day, a rainy one or just a gorgeous summer one that made it impossible to move off the deck of my suburban home. So when Ines and I met at a writing class to begin with, and for many more coffee mornings thereafter, we began discussing the possibility of holding a Salon in Scarsdale. 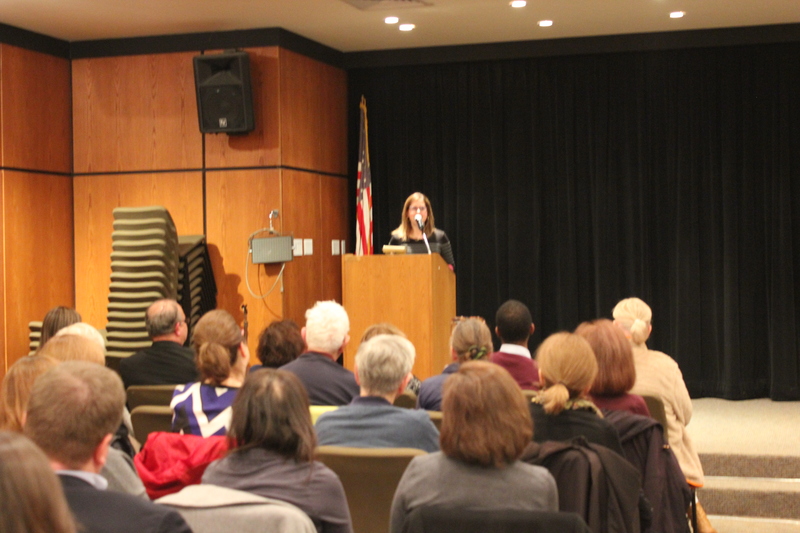 We found a ready sponsor in the Scarsdale Library, and they were generous with their space and resources, not to mention the wine to go with the event! 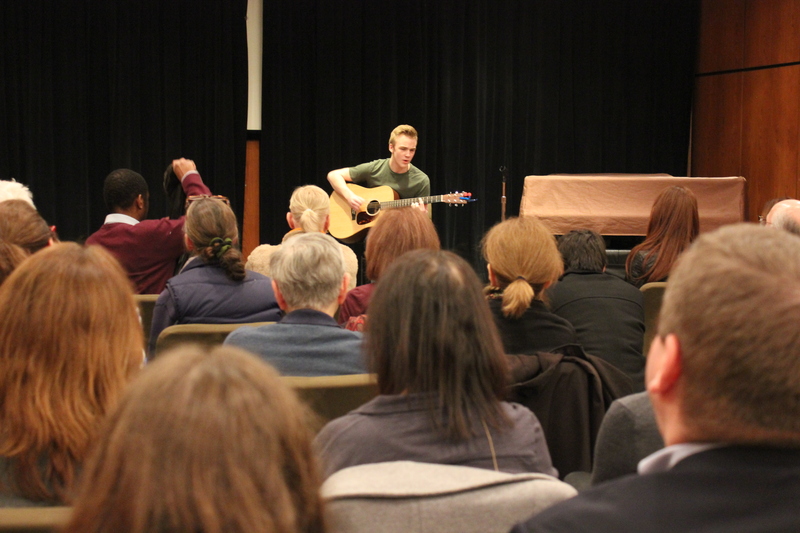 (And yes, we had the talented Axel Ahdritz play for us in this session). Ines and I are diligent in our selection – we read many books before shortlisting the final four. In keeping with the multicultural nature of Scarsdale, we also seek authors that represent different communities and countries. And as we work hard to put the Scarsdale Salon on the literary map at Westchester, there is a certain delight that goes with it – we no longer need to go into the city for a Salon! This entry was posted on February 7, 2016 by Preeti Singh in Articles and tagged scarsdale, Scarsdale Library, Scarsdale Salon, Westchester.